The National Retail Federation predicts the average American will spend $518 this year on holiday presents. But you wouldn't know it from looking at the fantasy gift catalogs in your mailbox. Dreaming of a $75,000 Camaro? It's in the Neiman Marcus Christmas Book. How about a $25,000 foosball table? It's one click away at FAO Schwarz. And of course no woman's lingerie drawer is complete without a $2 million bra. We wondered, does anyone buy this stuff? The answers may surprise you. First, it doesn't matter: Economists say that by tantalizing you with their stratospherically priced items, retailers boost the odds that you'll shell out for the less expensive ones. Second, and perhaps more amazing: People actually do buy $25,000 foosball tables. 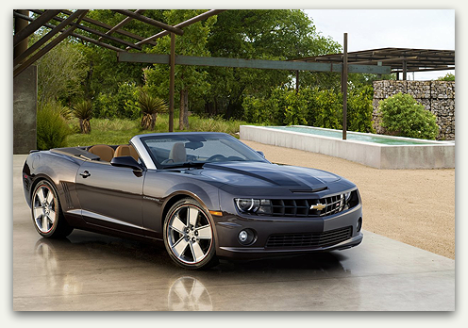 You can buy this 2SS-model convertible muscle car at a Chevrolet dealer for about $40,000. That didn't keep Dallas-based Neiman Marcus from selling all 100 of its specially commissioned Camaros at nearly double that — in three minutes. The car, with a V8 engine, a bordeaux exterior and an exclusive amber leather interior, is the priciest offering that has sold from this year's Christmas Book. But Neiman Marcus has also sold one $17,500 Leica M9 camera, two $6,000 ukuleles and four $4,500 electric tricycles from fashion designer Tory Burch. (As with all the retailers we spoke with, the company would not release specific customer information.) The $1.5 million swimming pool sculpture installation is still up for grabs.